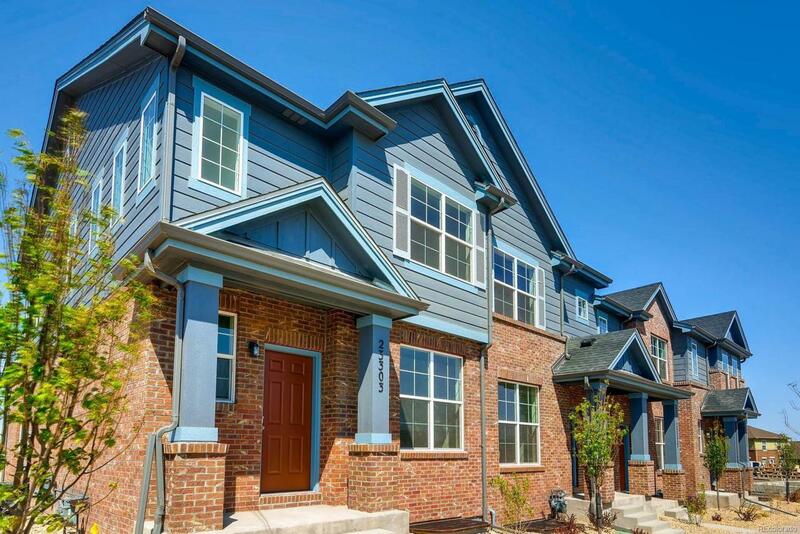 BRAND NEW 3-bedroom Townhome located in the highly reputable CHERRY CREEK SCHOOL DISTRICT!!! as an added bonus the builder is offering a $10,000 Design Center credit INCLUDED IN THE PRICE to allow you to customize your new home!! **This BRAND NEW HOME is very well designed. Bright, Open floor plan on the main level makes this one of our most popular models!! On the upper level you will find the laundry room located between your 3 bedrooms for convenience. This home also includes an unfinished basement for room to grow. ** IDEAL LOCATION - easy commute (Less than 5 minutes to E-470), 2 miles from Southlands Mall where you will find restaurants, shopping, and one of the best movie theaters in town!! 5 miles to Aurora Reservoir Named by Westword as "The Best Park for Fishing" other activities at the Reservoir include non-motorized boating, seasonal swim beach, archery, as well as paths for biking and walking. This Quiet neighborhood has it all! !